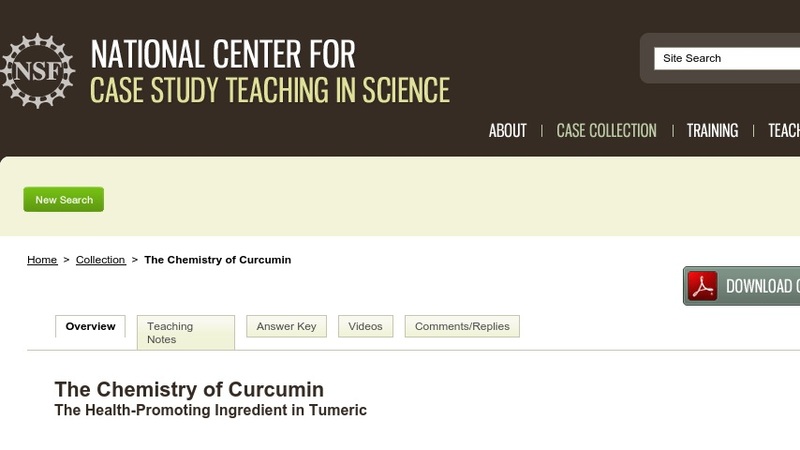 This case study was developed to engage students by making connections between core concepts in organic chemistry and the health-promoting chemical, curcumin, found in turmeric. The case is in the form of a dialogue between a couple about the surprising color change observed in their turmeric-containing soup when baking soda is added. Concepts taught by the case include keto-enol tautomerization, resonance theory, chelation, and pH dependant hydrolysis and ionization. Developed for a first-semester organic chemistry course, the case could be adapted for use in undergraduate biochemistry and food science courses.